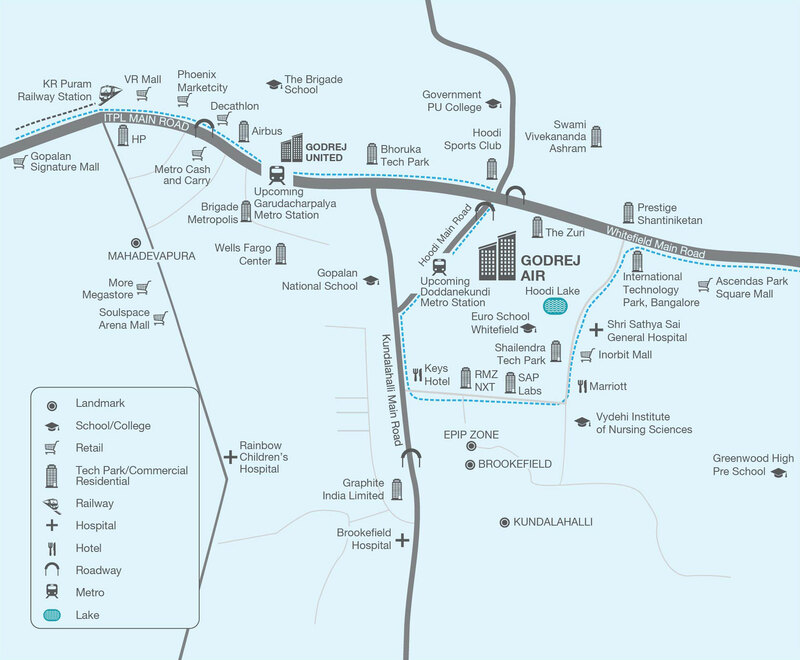 Godrej Air is an extravagant residential establishment offering best homes for imperial living. 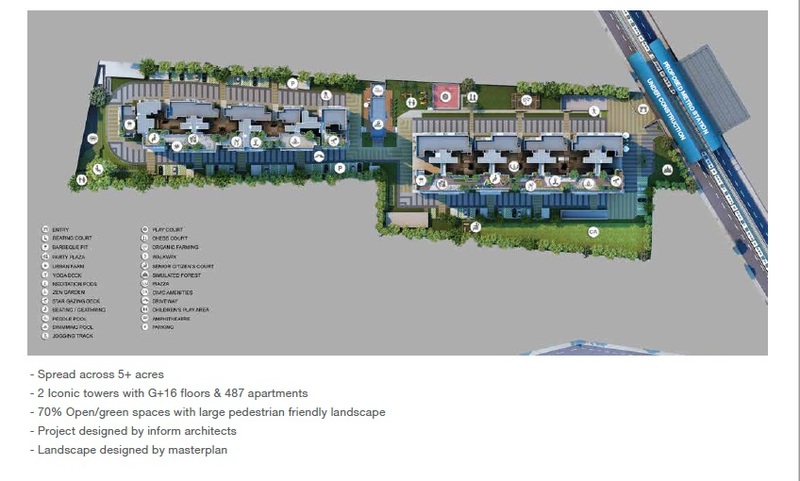 The premise is conceptualised with a theme of inciting fresh, rejuvenating besiege with 3X enhanced air quality. The project is located in strategic surrounds of Whitefield, Bangalore. Spread over a vast 6.6 acres verdant land parcel, this endowment essays 487 apartments constituted on 2 iconic towers with G plus 16 Floors. The apartments offered are configured as 1 BHK, 2 BHK Regular, 2 BHK Large, 2.5 BHK, 3 BHK Regular, and 3 BHK Large units. The project is designed by renowned INFORM Architects and landscaped by Master-PLAN. Godrej Air ensures its inhabitants a green living experience dedicated for overall health and wellness. The abodes are thoughtfully designed to offer maximum daylight and fine ventilation through wide balconies and large windows. Each apartment is designed to have an uninterrupted view of beautiful and refreshing landscaped outdoors. A host of well planned lifestyle amenities promises an active and grandiose acquaintance. From creating green wall at entrance to planting more than 16 varieties of air purifying plants and 11 varieties of trees in open spaces, the project leaves no stones unturned to create an eco-friendly avenue for effulgent living. Superior quality anti skid ceramic tiles for toilets.